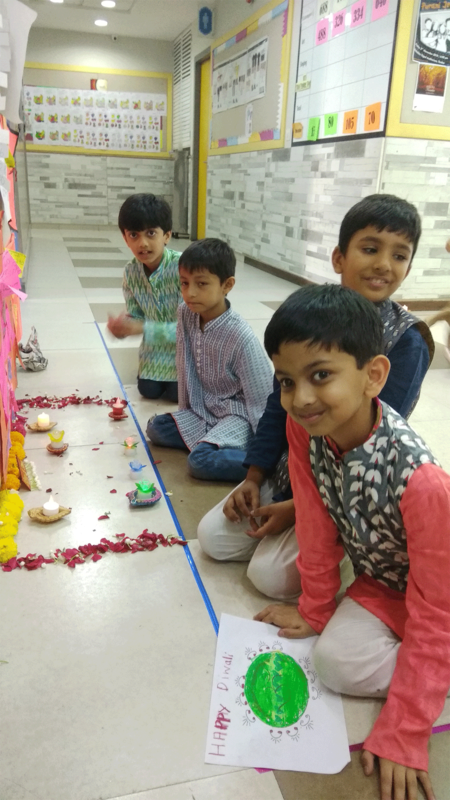 Diwali symbolizes the spiritual victory of light over darkness, good over evil and knowledge over ignorance. 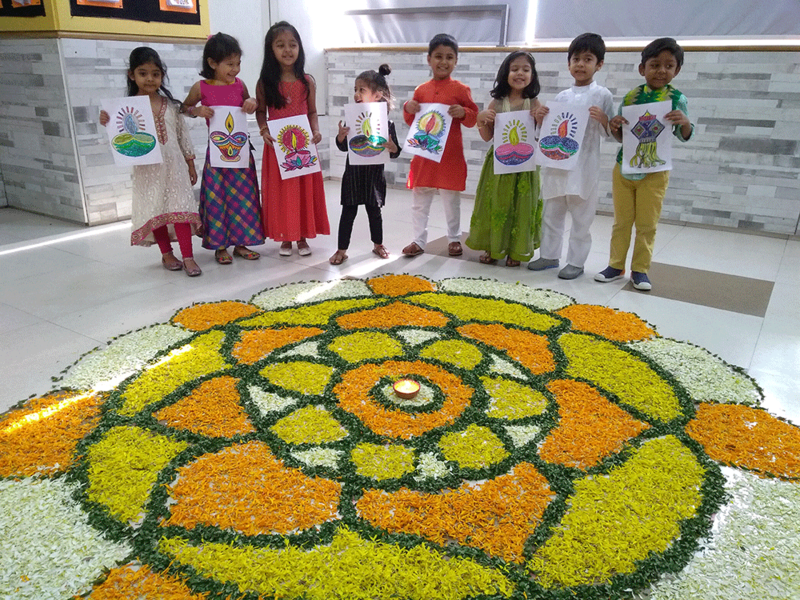 To celebrate this festival of lights, all Junior school children dressed in their traditional best. 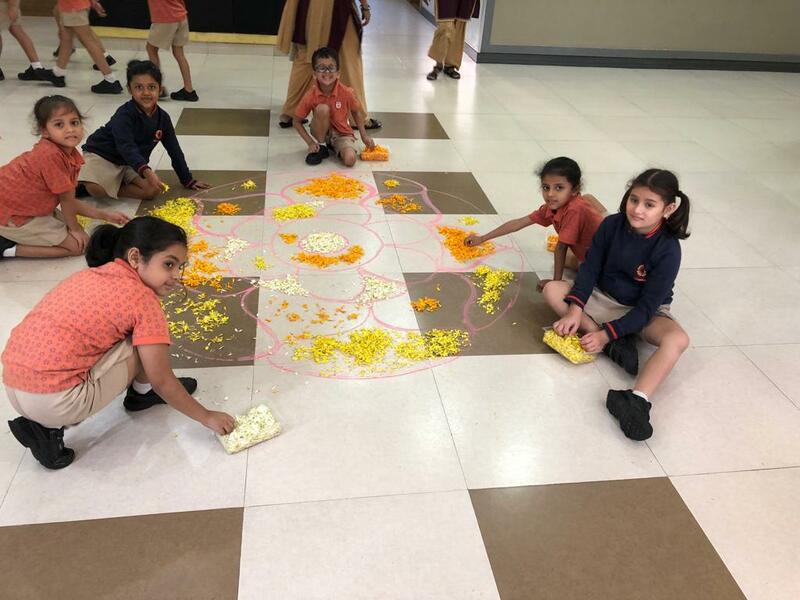 Rangolis & diyas added glamour to the festivities. As for the surprise element we went old school, Movie Time. The children were treated to delectable food to add to their excitement of the celebration. 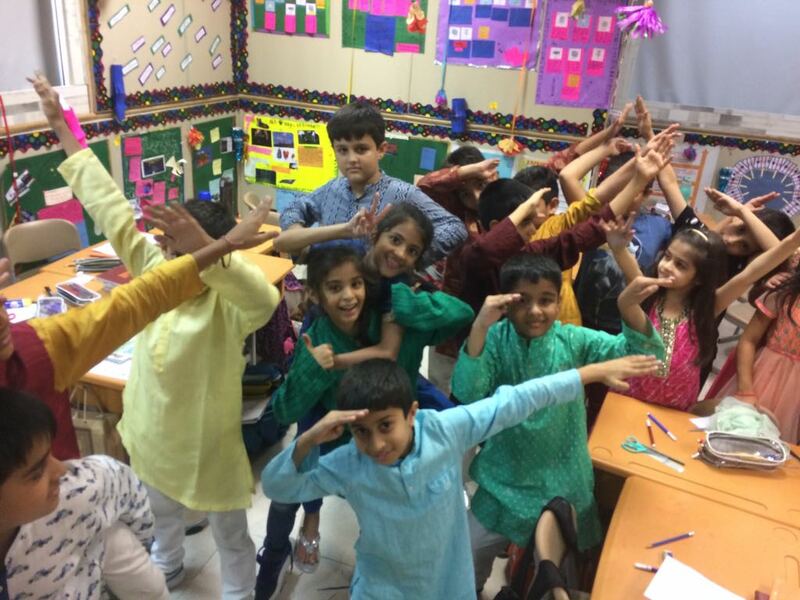 Children spent an enjoyable time with their teachers. 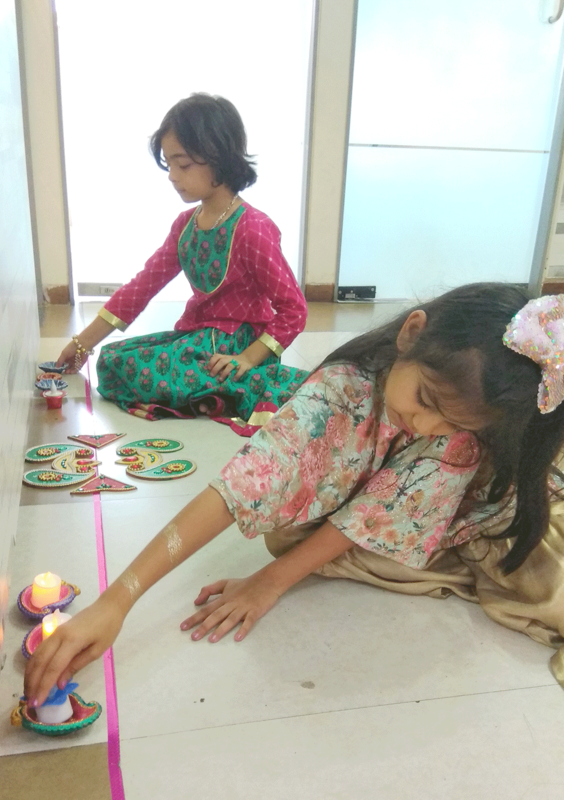 The ambiance was all about cheer and love to gear them up for their Diwali Vacations.